Study suggests men who wear t-shirts in the office may produce better work. Ties are something of a standard office-wear for men, from call centers to investment banks. However, a new study finds that the accessory could be hampering work performance by compressing veins that are key for bloodflow to the brain. The small study on 30 young men in Germany found a statistically significant drop in brain functioning among men who wore neckties during an MRI scan, with bloodflow down 7.5 percent. While that kind of decrease would not trigger obvious symptoms, experts warn it will be enough to impact cognitive functioning. The findings endorse the increasingly popular tech-bro uniform championed by mark Zuckerberg, doing away with ties in favour of stretchy attire. 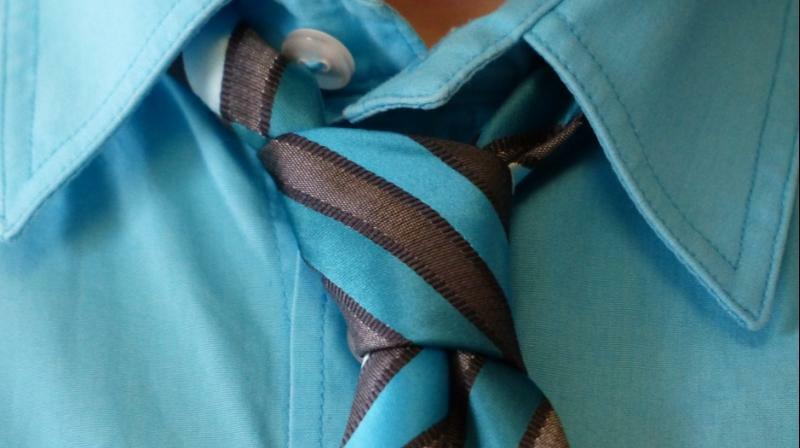 Prior to the study, published in the journal Stringer, other researchers had found evidence that a necktie increases pressure in a wearer's eyes.